I moved to the neighbourhood a year and a half ago, running away from the tourists of Camden Market and a hellish Northern/Central line commute. Having lived in four different countries during the previous six years, I had been longing to put down roots somewhere that felt like home. West Hampstead turned out to be that place and the Jester Festival represents everything I love about West Hampstead. 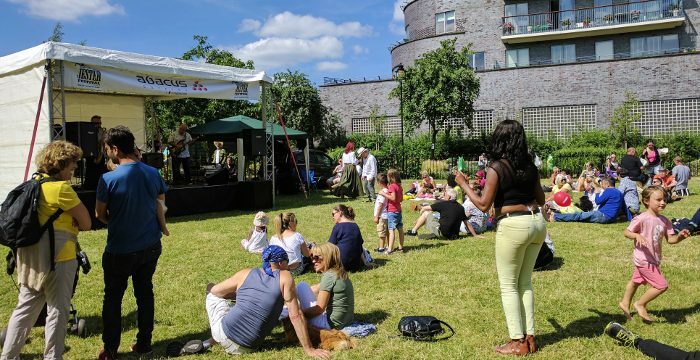 As I got to know and love the neighbourhood – my leafy street, the village atmosphere, the shops and cafés – I decided to find out more about the community by getting to know my neighbours and working to protect our little slice of London. The Jester Festival was the perfect opportunity to do so. The sun was shining as I and a friend from south London approached Fortune Green on Sunday; before I could see it I could hear jazz in the distance. We arrived to find stalls lining the paths, kids running around, families enjoying their picnics and even couples dancing to the rhythm and blues. 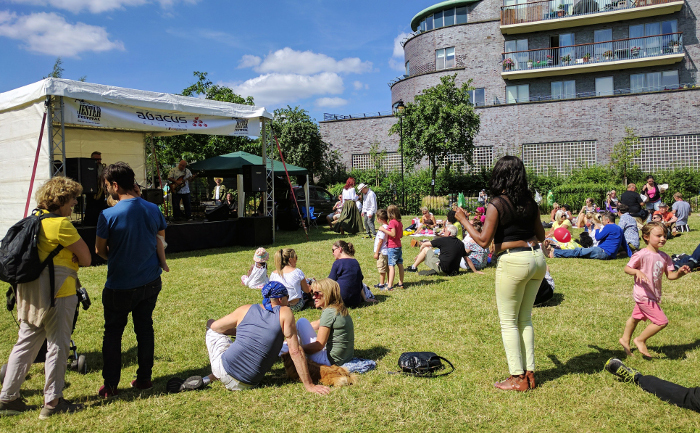 It was the perfect village fête, London-style, everyone seemed to be having a great time and in every stall there were friendly faces happy to chat; from local businesses trying to attract new customers to the neighbours’ associations gathering support. Stand-out attraction, literally, was the climbing wall, a big hit among the younger ones. They didn’t seem to mind one bit when they slipped and were left swinging from their ropes. The political party stalls were pleasantly low-key and more focused on having fun than in campaigning. Especially popular was Labour’s raffle – the children jumped for joy every time they managed to win a box of chocolates. My favorite stall ? 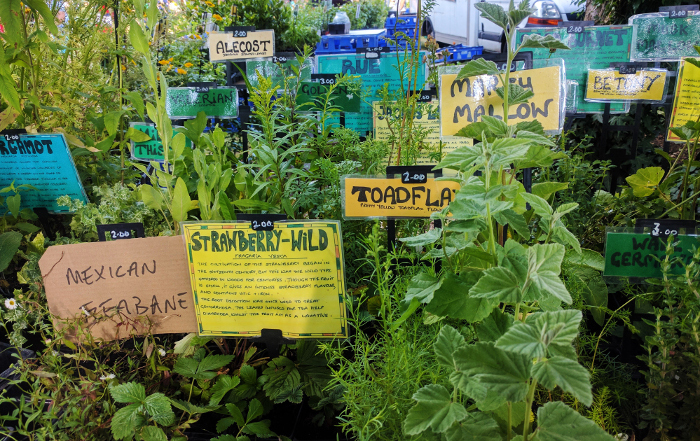 Herbal Haven – I loved getting lost in a hundred colours and aromas, and bought as many plants as I could carry to replenish my small balcony garden. As part of my WHL research I talked to a wide variety of residents, and everyone was equally welcoming. They told me how they enjoyed the unique family atmosphere of the festival, how many activities there were for the kids and how they enjoyed the fact that all their neighbours were there. Volunteers went on about what a fantastic opportunity the festival was to give back to the community, and the vendors mentioned that it didn’t even feel like work. I only heard one complaint – there weren’t enough toilets for everyone. There was also time to learn more about some local hot topics. The Neighbourhood Development Forum (NDF), a local voluntary organisation that works to influence planners and developers when making planning decisions in the area, explained its concerns about overcrowding at West Hampstead tube station and with the current development proposals on Gondar Gardens reservoir. These worries seemed to be shared by many of the neighbours, as they were collecting a lot of signatures. Ravenous after all that chatting, we struggled to agree on what to eat. There was Indian, Greek, and French on offer – everything seemed equally delicious. Decisions, decisions. Finally, we went for the galettes (savoury buckwheat crêpes), gone in 60 seconds. 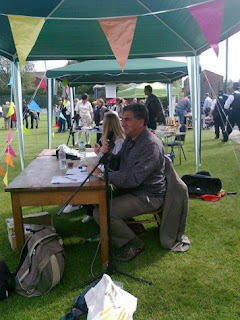 After that it was off to the Lib Dems stall to try their famed cakes. They didn’t disappoint – the lemon drizzle and the fruity chocolate brownie, which we were told were the most popular, were absolutely mouth-watering (and waistline-busting). Overall impression? With that galette on the grass, the smooth jazz in the air and the children running around felt very similar to happiness. And my friend, who had come from Stockwell to spend the day with me? She decided that she wanted to move to West Hampstead. West Hampstead passengers top 20 million a year What have you missed since July 3rd?